Today I want to write about the longest crabs in the world, the Japanese spider crabs. These amazing giant crabs have a legspan of up to 3.8 metres, which is the largest of any invertebrate. Japanese spider crabs are omnivores, eating a range of plant and animal matter. They have very powerful claws that they can use to prise open mussels. Females carry the eggs around attached to their tummy until they hatch as tiny, legless larvae that float in the ocean as plankton. Even though they are very large, they are eaten by octopuses, so they use their shells as camouflage on the ocean floor and hide in holes. They also decorate themselves with sea sponges and anemones. Japanese spider crabs are found in the very deep waters off the coast of Japan where they can live for up to 100 years. 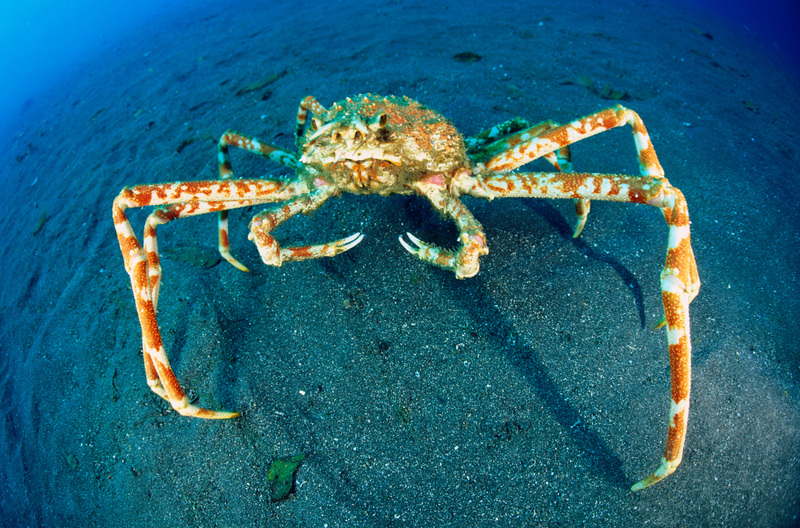 Are there any other interesting facts that you would like to share about Japanese spider crabs? can you add more facts.